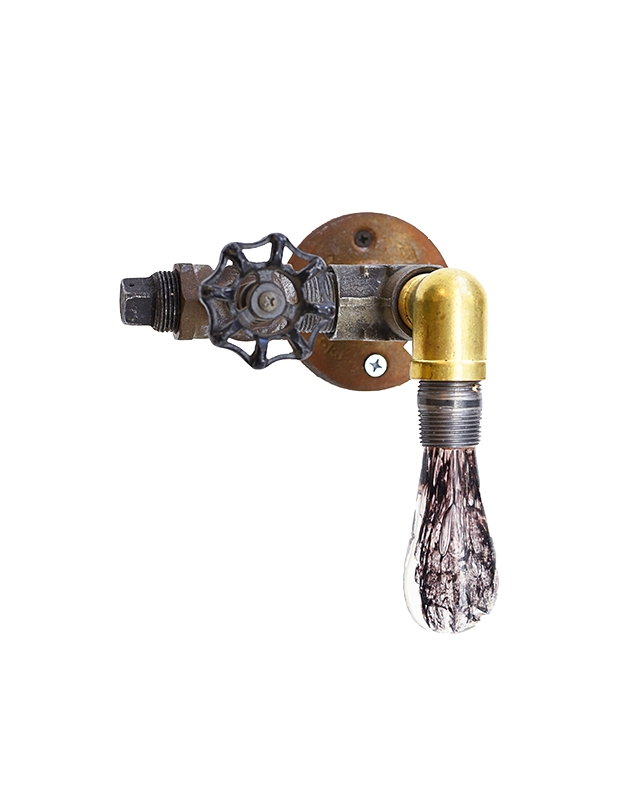 2017, Glass Drops, Reclaimed Plumbing, Pressure Gauge, LED Light, 39 x 36 x 7 in. Tanya Clarke’s functional sculptures began as an experiment with the fusion of art, function & environmental consciousness. By creating a visual reminder of the precious commodity that water is and our need to protect this natural resource, Tanya contributes to the zero footprint movement in the form of ‘Liquid Light’.Low-voltage lights, hand-sculpted glass drops, reclaimed plumbing & hardware are incorporated into enormous chandeliers, standing lamps and wall sculptures that juxtapoz cold hard metal and hot liquid glass come together to form something purposeful. Tanya is the daughter of leading political & environmental activist, Tony Clarke. She currently lives on the beach in California where she assembles her sculptures within her home studio. Tanya’s sculptures can be found in private collections around the world, including the home of Russell Crowe, Susan Sarandon, Seth Rogen, Justin Trudeau, and the Prince of Morocco. 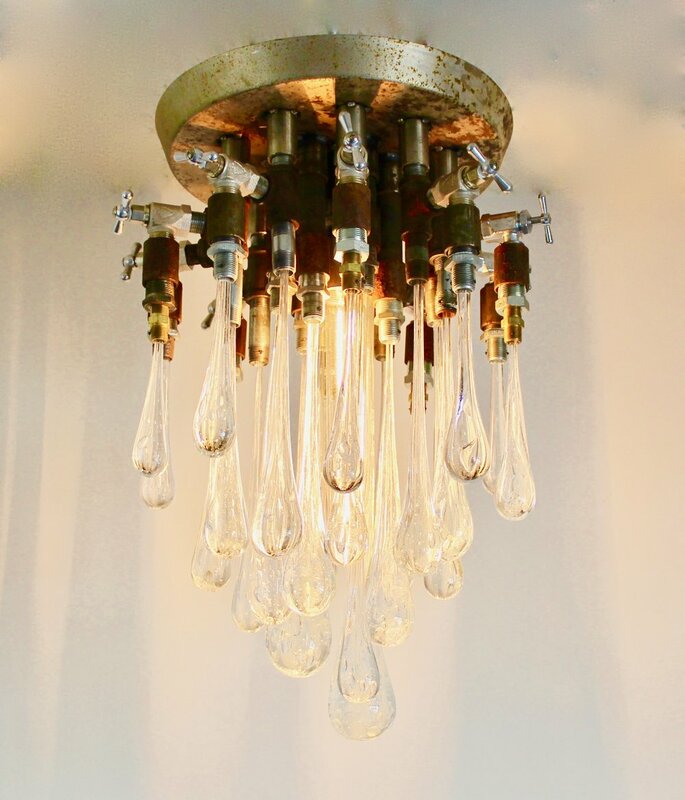 Her “Liquid Lights” were exhibited in 2009 at a group show in the National Liberty Museum in Philadelphia, PA and another at the Charles River Museum of Industry & Innovation in Waltham, MA in 2012.